The good, the bad and the divine: 'White Candle' by bruno Pieters. 'White Candle' by bruno Pieters. 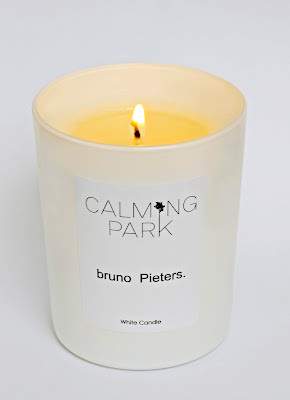 CALMING PARK and bruno Pieters are collaborating for the second time after the great success of the first bruno Pieters' scented candle 'Amber - Pepper' . Now they've created 'White Candle' which will be available in a limited edition from April 2010 at selected bruno Pieters point of sales and CALMING PARK stockists. 'White Candle' is a retro-futuristic white summer scent that's in contrast to the dark and masculine scent of 'Amber - Pepper' which has been launched for fall 2009. The scent originates it's inspiration in a warm and transcendent summer - white like the glass and pure like it's packaging, the scent is fresh and unisex. 'White Candle' is inspired by fresh green fragrances of the 70's, the fruity note and lemon balm leaves create a summer holiday feeling and are topped off with a very present lemongrass, green tea and jasmine scent. 'White Candle' is built on white musk, south american tonka beans and lichens. It sounds like a great scent to me, can't wait to smell it and probably light it in my living room this spring/summer.